The idea of combining multiple strands of appeal into one car is almost as old as the car itself. Designers cracked the open-air thing straight away, but further down the line came more defined and capable off-roaders, sleeker coupes, more practical estate cars and more. Combining them all was tricky. BMW thought it would have a go anyway. 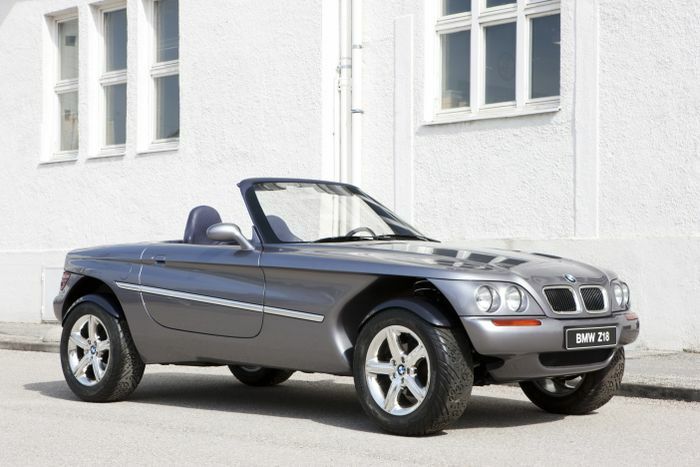 Around 1990 BMW’s forward-thinking subsidiary BMW Technik decided to gather its ideas about convertible roadsters into one hand, its SUV knowledge in the other and crumple them together with an added sprinkling of genuine off-road ability. The bizarre creation that came of such a weird marriage was called the Z18. It made plenty of headlines when it was launched in 1995. As you’d expect. There was, at least, a good reason for keeping it locked up for five years. At first glance the Z18 looks like some kind of weird beach buggy kit build or maybe even a kei car. The roofless wonder looks tiny on its lifted springs and custom ‘paw print tread’ tyres. Two small doors hinge normally, at the front, but it’s a fair step up into the cabin. The back looked sort of squashed then lifted, but it was cute in a buggish sort of way. 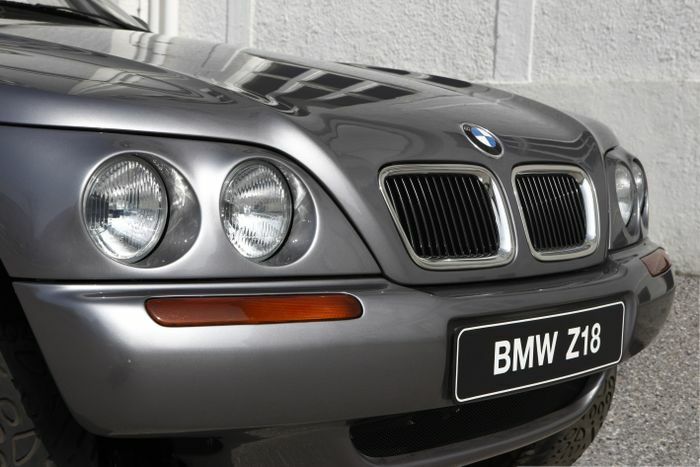 Overall it takes about a nanosecond to see the visual connections to the E36 3 Series and the Z3 Roadster – which, not-so-coincidentally, was also released in 1995. 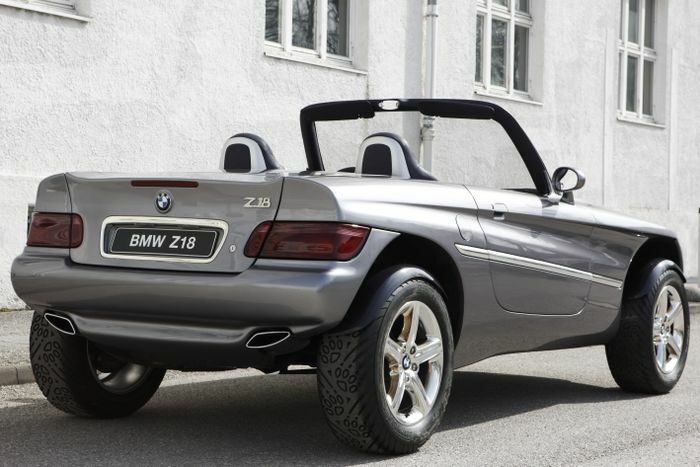 The Z18’s long-overdue emergence showed the world just how long previously that BMW had conceived the roadster idea. The Z18, though, was designed to mimic the kind of go-anywhere fun that was – and is – found in proper enduro motorbikes. At the time in the late 1980s and early 1990s the two-wheeled equivalent of a Land Rover Defender was enjoying a sales boom. Weight was kept down by plastic body panels and a simple five-speed manual gearbox. Forget about cabin luxury; it was built to withstand abuse with heavy-duty rubber floor mats and a pair of waterproof bucket seats. 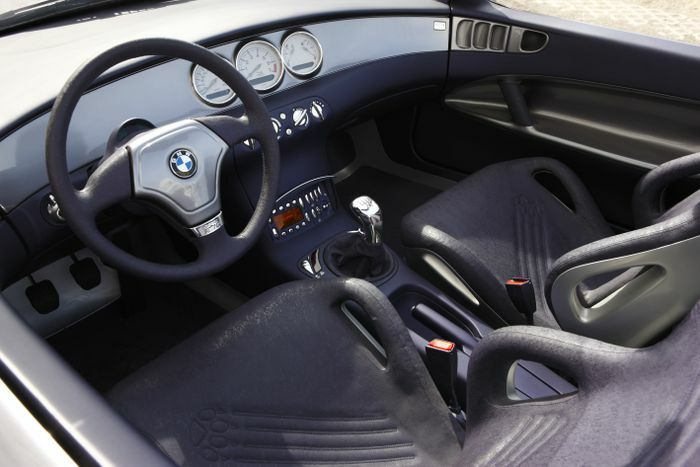 To match up to the adventurous ideal the lightweight Z18 was fitted with a 349bhp V8… at the back. There was no roof to take up space when folded, otherwise the project would have had to have been much larger. An apparently complex four-wheel drive system gave it epic traction but it was very obviously never intended for production. Sadly, the full technical details were kept secret. Sometimes, you look at old projects that failed for whatever reason and realise just how far ahead of their time they were. The Sinclair C5 electric personal vehicle, disastrously produced in 1985, is the example most often used but BMW probably hopes to make more of a success of its latest – and challenging – Vision iNext concept. The Z18 is another starlet to unwittingly predict the future: more than 20 years after the German oddball’s first public appearance in Tokyo, Land Rover presented the Range Rover Evoque Convertible in Los Angeles. History is a funny thing.